Built UC Prop. Built UC Prop. Pretty sure Block 42 has 37 sold. I've updated the numbers in the first post to reflect the changes. This article says that 2/6 City Place penthouses were sold. Did 2 more just sell? The news story probably played a role in that. Believe the Hill is closer to 20... Have sold 6-7 in last month. The numbers on The Hill (and others) are straight from the County Assessor's site. There may be units under contract but not yet closed and with a recorded deed. are there no units in Automobile Alley, Film Row, or the other districts? what about Midtown and SOSA? If 4 City Place apartments have indeed sold, and they are primary residences for local people, then a paradigm shift has occurred in Oklahoma City. 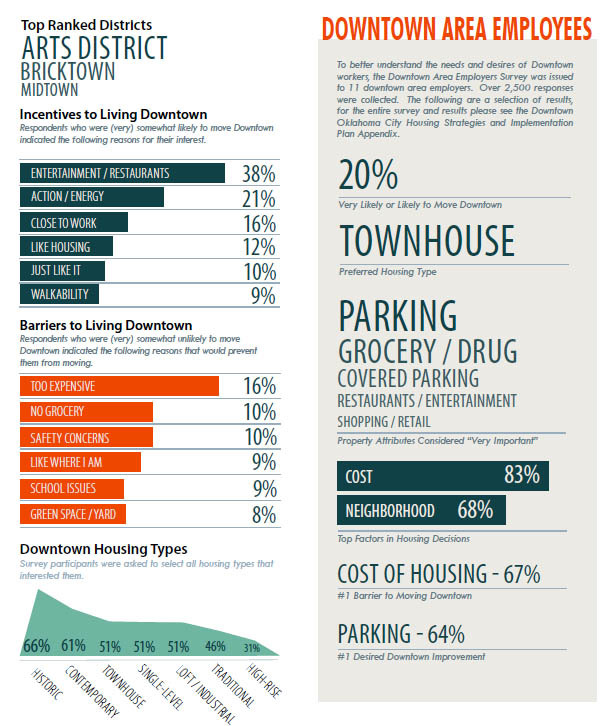 That implies that the idea of living downtown is now acceptable to the wealthy in OKC. That was not the case four to five years ago. Pretty much, if you had large amounts of money, you lived in Nichols Hills, with only a few outliers, none of whom were downtown. Well keep in mind, Gailardia was once an outlier for the uber wealthy also. I'll do a separate list for Midtown / Auto Alley. As for SOSA, that's very difficult to determine because it's mainly single family residences. Gailardia is primarily an outpost of the nouveau riche. Most of the uber wealthy live in Nichols Hills. Except for the penthouse, City Place is probably for the riche, not the ubers. It will be interesting to see who else is living there. I think that may have been the target buyer for the penthouse, but there are only so many of those now. Of course, ironically, KD (and perhaps some others?) now live in the aforementioned Gailardia. 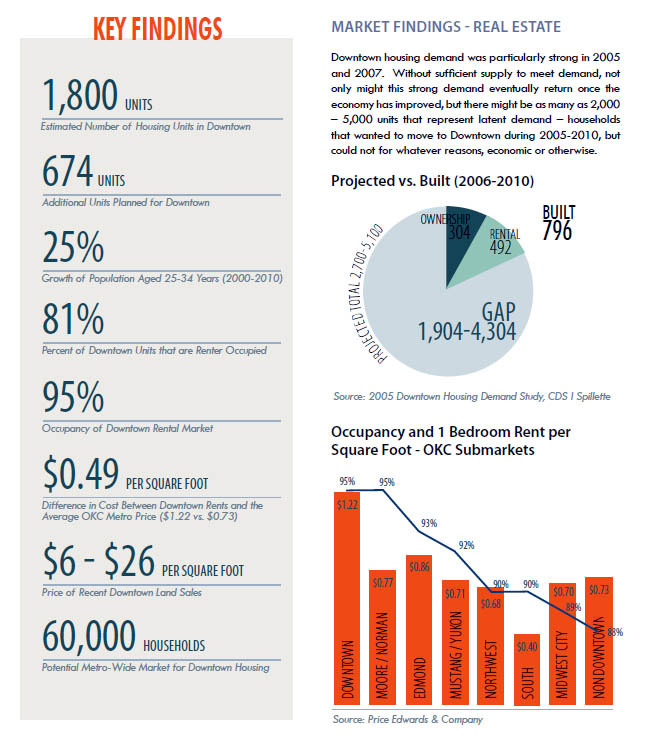 Here is a brand new downtown housing study; or at least the executive summary. The images shown are the key findings. Below, click the link for the full PDF file. 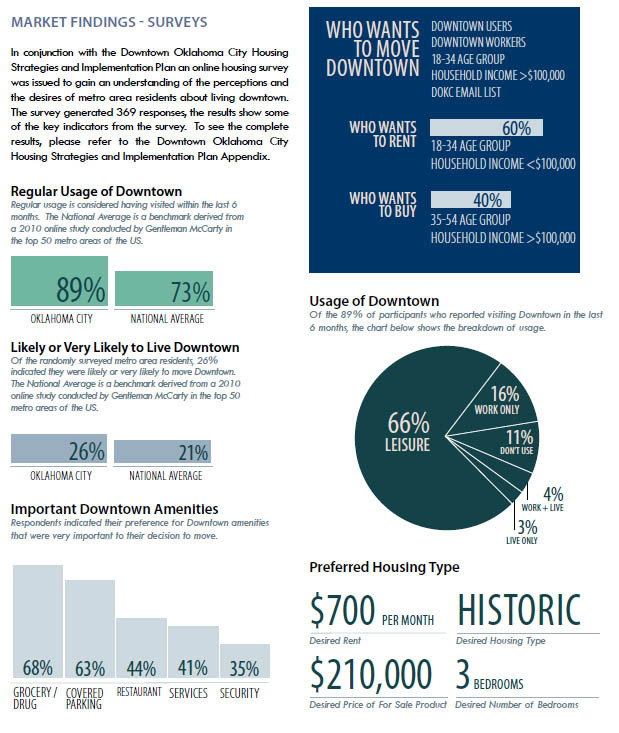 I've added a bunch of information, including an index to all downtown housing projects. Click on the ARTICLE tab at the top of the page. What about the Garage Lofts, The Sieber Apartments and wasn't Marva Ellard's 6th and Hudson project supposed to have more than 2 units (I didn't know any were completed)? The old Allen's Cafe - they're working on the historic bldg now, and they were going to build I think 4 townhomes after that. There's a thread for that project around here somewhere. This is a work in progress as Pete is constantly reminding us, but even if there's something we've left out (even if you think we're already aware), please remind us and let us know! Can anyone edit the article? Cline has 2 units. Thanks, I just didn't see the Garage Lofts or the Sieber.